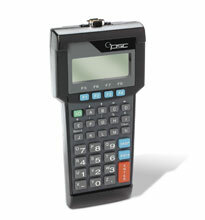 The PSC PT 2000 has been renamed to the Datalogic PT 2000. The flexibility to choose the appropriate input device for your application. 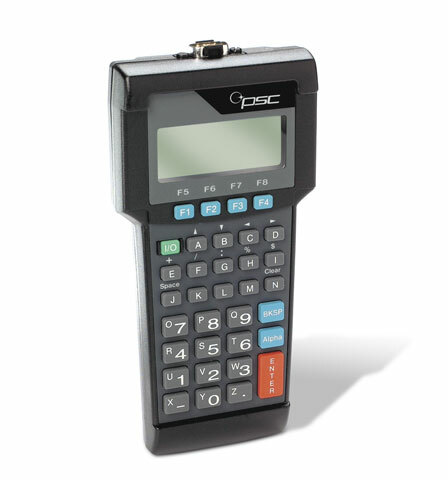 Small and lightweight, the PT 2000 is your answer to portable data collection. Its convenient size fits comfortably in your hand. Better yet, it weighs only 12 ounces (including batteries)! and it's loaded with all the features you require in a portable. Flexibility puts you in control. The PT 2000 gives you the flexibility to choose the appropriate input device for your application, whether it's a wand, CCD, 5V laser or I.D. badge scanner. Its 4-line-by-16-character LCD display provides easy readability, and 34 splash-resistant alphanumeric keys, including 4 programmable keys, give you the option of keying in data. 512KB RAM, 34 key, 4 line display. Includes alkaline batteries & 9-pin serial communications cable. Order cradle, cables & power supply separately. See accessories. 128KB RAM, 34 key, 4 line display. Includes alkaline batteries & 9-pin serial communications cable. Order cradle, cables & power supply separately. See accessories. 2MB RAM, 34 key, 4 line display. Includes alkaline batteries & 9-pin serial communications cable. Order cradle, cables & power supply separately. See accessories. 1MB RAM, 34 key, 4 line display. Includes alkaline batteries & 9-pin serial communications cable. Order cradle, cables & power supply separately. See accessories. 256KB RAM, 34 key, 4 line display. Includes alkaline batteries & 9-pin serial communications cable. Order cradle, cables & power supply separately. See accessories.